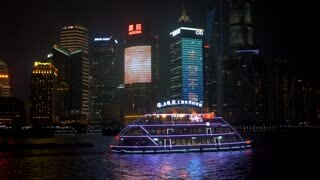 Timelapse of Shanghai Skyline at Sunset. Lujiazui Financial District and Huangpu River. China. 01 July, 2018 China, Shanghai. Night view of of Lujiazui skyline as seen from the Bund, across the Huangpu River, with the Shanghai Tower. Asian woman drinking martini alcoholic drink while looking at view of landmark skyscraper building in Lujiazui, Pudong, Shanghai city, China. Chinese tourist relaxing looking at window. An aerial jib shot of an intersection in Shanghai, with the Lujiazui skyline as the backdrop. Trucking aerial shot of an intersection in Shanghai, with the Lujiazui skyline in the backdrop. 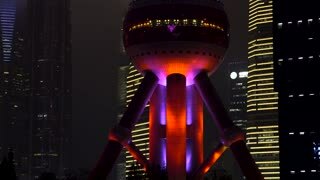 Aerial drone shot rising up of pudong lujiazui in Shanghai. Dramatic shot moving up of modern Chinese metropolis. Huangpu and Suzhou river meet at Monument to the People's Heroes. 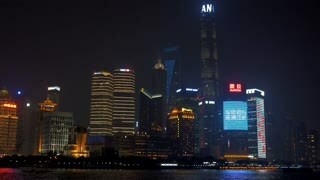 Wide shot Shanghai Lujiazui business district timelapse. Chinese city downtown time-lapse with beautiful clear day with white fluffy clouds. Cityscape of Pudong in urban China in daytime. 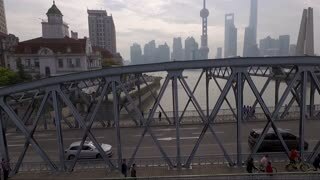 Drone shot moving along historic Waibaidu bridge on Suzhou river. Pudong lujiazui city skyline in background on huangpu river behind historic Shanghai landmark bridge with cars and trucks crossing. Megalopolis sci-fi residential apartments in modern Asian dark city.Futuristic tall skyscrapers, science fiction mood panning along the night city skyline in Lujiazui, Shanghai, China.